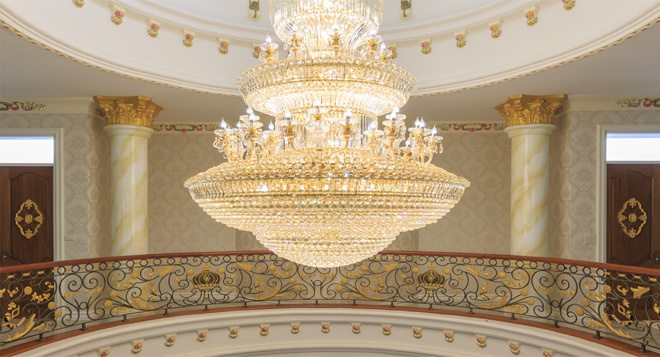 Our technicians specialize in chandelier cleaning, installation, restoration, repair and modifications. We also perform expert chandelier moving services, including disassembly packing and transport of chandeliers. We are your one-stop spot. We are a UL certified company. Check out our gallery of images for our chandelier restoration project at Irving Plaza in conjunction with The Jazz Loft. We are very proud of the work we did for these antique chandeliers. From our fully equipped workshop in Deer Park, NY, we serve our neighbors in Commack, Dix Hills, Huntington, Kings Park, Lloyd Harbor, Smithtown, Babylon, West Islip, Brightwaters, Bay Shore, Lindenhurst and throughout Suffolk County and Nassau County Lawrence, Massapequa and all the south Old on Long Island. We are also the lighting restoration company of choice many of residential and commercial projects in New York City. We are Licensed and Insured! We are open Monday-Friday from 8 am to 5 pm. Londono Brothers provides professional chandelier installations for Long Island and NYC residents and businesses. Our commitment to excellent client support allows us to provide your home and business with professional chandelier installation and other services. Our professionally trained specialists bring their years of knowledge and experience to every project. For more information on all our services, please contact us today. You can us at 631-940-8670. We are here to help you with your lighting project. Our chandelier and lamp services extend to customers out of state too. You can send your chandeliers or lamps to us and we can clean, repair and rewire them for you. You can send over pictures and receive a free consultation and estimate for the potential work. If we receive any items that have not been previously approved we will not work on them. We must see it before you send it! Our service area extends to states in close proximity to New York, such as Connecticut, Pennsylvania, New Jersey and Massachusetts. "Londonos, you did an outstanding job with my floor lamp and wall sconces. The metal looks so shiny now...what a big difference." "My chandelier is now rewired and clean . . . Looks great now for the years to come. Thank you very much, Londonos." "I had a new chandelier installed in my house. It looks beautiful and guests love it. Fantastic and speedy installation!"